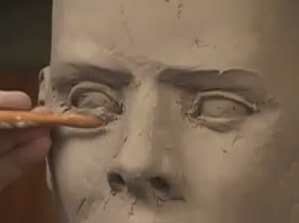 Watch this inspiring demo of sculpting life size heads from clay. Honestly, this youtube video had me gasping and going WOW…WOW…. The way he handles the soft clay and pulls it into life is fantastic. Inspiring figurative sculpture video. Pop over to youtube to watch as it was not possible to lift the embed code myself.